Last night, I arrived in Charleston, SC for a little mini-vacation. Getting out of New York was a challenge, to say the least. My original flight was scheduled to leave at 11am, but I didn’t actually get off the ground until probably near 4pm. Between the weather and general incompetence at LGA, there were some major delays. Luckily, I finally arrived! 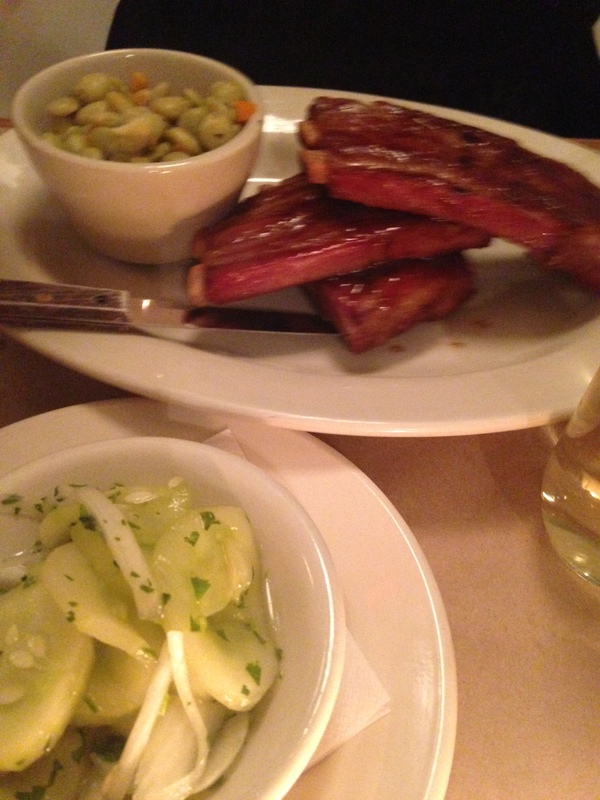 For dinner, we went to the Hominy Grill, which is a local Southern/Soul food style restaurant. 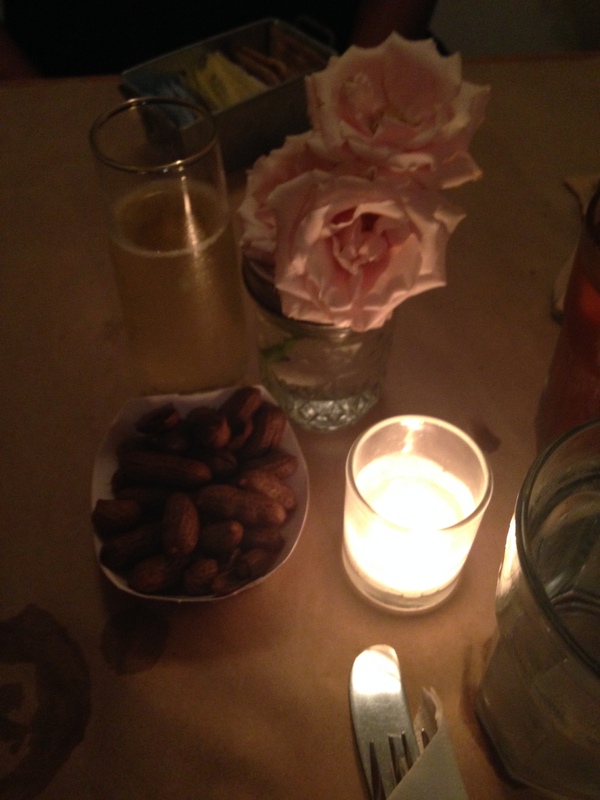 The first picture is the boiled peanuts they brought out, a great mix of highbrow and lowbrow with the roses and bubbly. I haven’t had boiled peanuts in forever, but each bite takes me back to summers spent along the Grand Strand in Myrtle Beach. You can almost smell the ocean when you eat a boiled peanut. 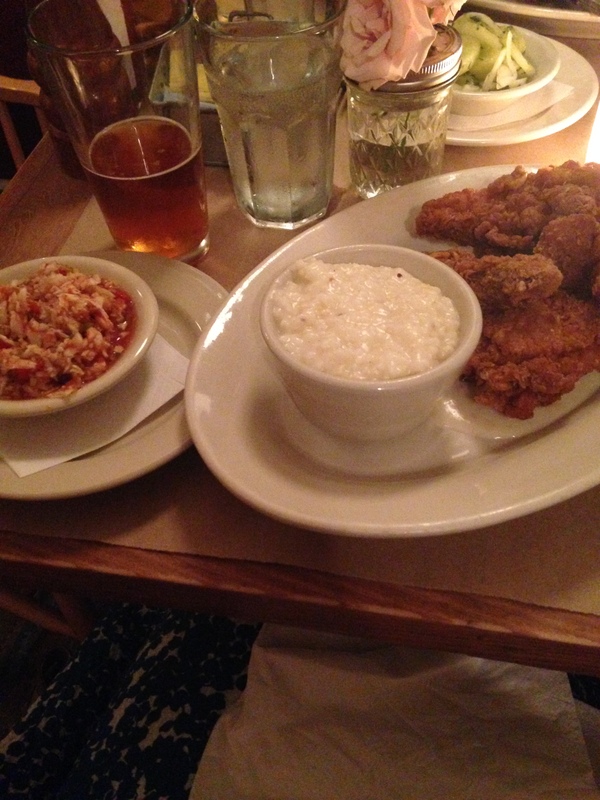 Here is my meal: fried chicken, cheese grits, and coleslaw. The fried chicken was delicious. Hot, crispy, seasoned just right. The sides I wasn’t as wild about. The grits were good, but they just weren’t as good as my dad makes them. I think that’s a problem you often come across when eating food that you grew up with. On the other hand, the coleslaw was not at all what I was expecting, so it was interesting to try. It was red, very tangy. I would highly recommend the fried chicken, but maybe try out different sides next time. Here is the vegetable plate. 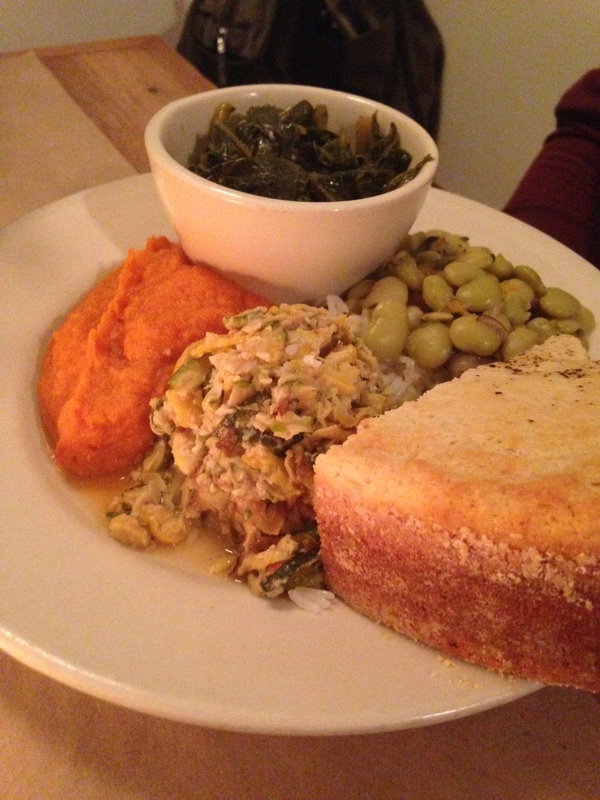 This one is collard greens, lima beans over rice, cornbread, and other vegetables. And the rib plate! Like the chicken, it came with two sides. Here are the lima bean, which were great although a bit salty, and picked vegetables. For dessert, we all shared a lemon cake, but it was eaten too fast for me to get a picture! I was surprised by how much I liked the cake. It was very tart and plenty of moisture, not the dry white cake I was expected. Overall, a good experience, I would recommend it to someone visiting Charleston looking for some old-fashioned Southern Cuisine.